Get extra-colorful with our new ViceVersa Inverted Umbrella, featuring a colorful outer canopy and contrasting gray undercanopy. The black C-shaped handle allows hands-free use of cell phones and other devices. 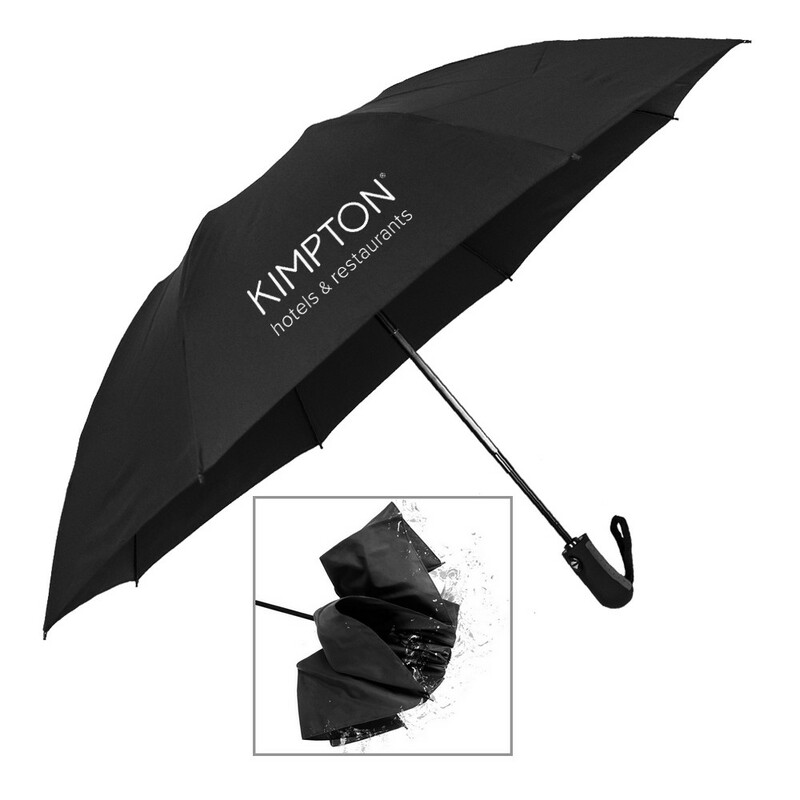 Best of all, it's designed to protect you from the rain AND a rain-soaked umbrella. 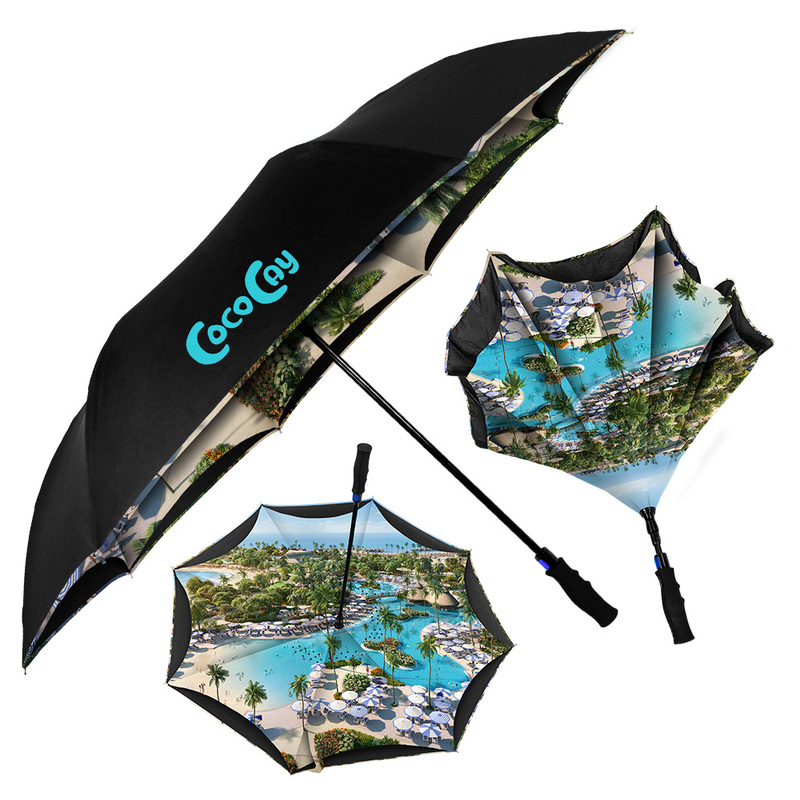 It closes in reverse fashion, keeping the wet side of the umbrella contained and away from you. 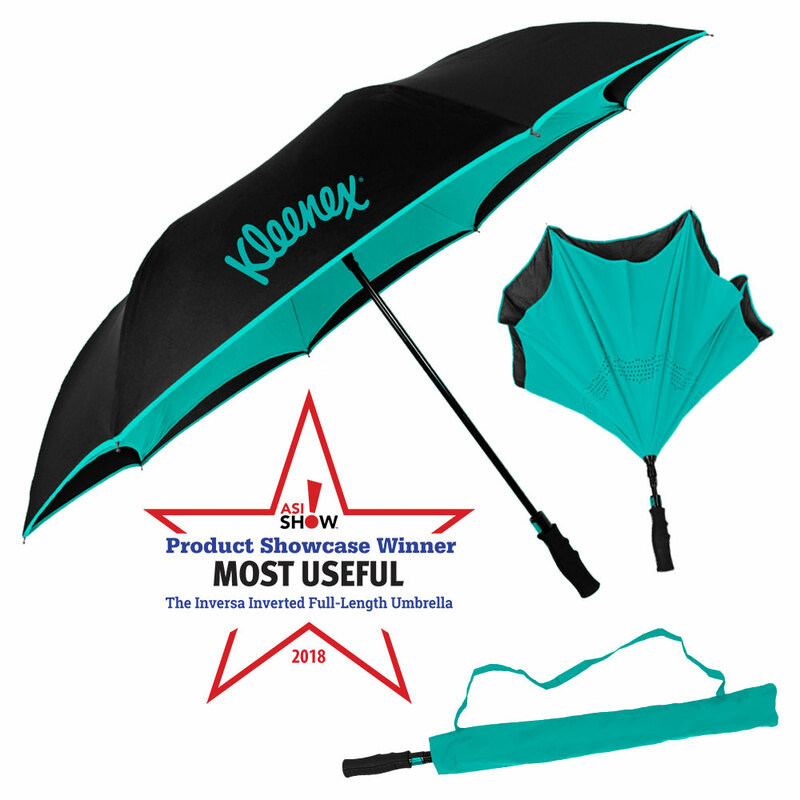 This intelligent design makes it easy to open and close anywhere, keeping you dry from start to finish.